What is Shutter Priority? Why do I need to use it? This is an important step in taking creative control of your photography. If you haven't read my first article on Aperture and Aperture Priority, make sure to read it first! Knowing how to manipulate your shutter speed is a great way to show some creativity in your images. Lets talk about a couple of examples, and you'll see why your shutter speed can make a big difference in the feel and look of your image. Lets say we are at a sporting event and there are a lot of moving around and running. How can we capture that movement, and freeze it, so the picture isn't blurry? Well, we can simply increase our shutter speed to capture that motion. If you place your camera in "S" or "Tv" depending on your camera manufacturer. You can increase the shutter speed to 1/500th or 1/800th of a second to capture the movement. So you set the shutter speed, and the camera determines the correct aperture to properly expose the image! Its the opposite of Aperture Priority. Let's also say we are in the forest and we want to take pictures of a waterfall. 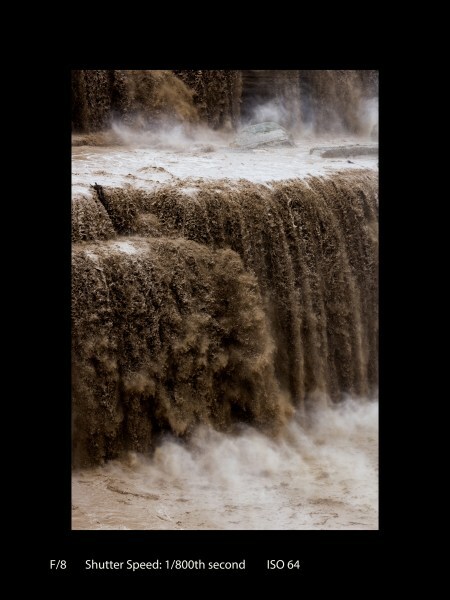 We can shoot the waterfall at 1/60th of a second, or 1/100th, 1/250th or higher and freeze the motion of the waterfall. But what if we want to get that silky water look? Thats called a long exposure. But, in order to do that we will need to slow down our shutter speed so it will stay open long enough to get all that motion. We will need a tripod to do this, however. Its impossible to hold the camera still long enough to get that look. Any shutter speed less that 1/30th of a second, you will need a tripod( or you can rest the camera on a rock or the ground). So with the camera secured in place with a tripod, set your shutter speed to at least 1/2 of a second or slower if you'd like. The camera will set the aperture and boom! You got silky water! See, now you can really start to get creative with your shots! Now get out there and shoot! Practice with both Aperture Priority and Shutter Priority. In the next article, we will talk about ISO, and take the 3rd and final step into fully manual, and take full control of our images!